Dental anxiety stops millions of Americans from receiving the dental treatment that they need. At Art of Dentistry Institute in Irvine, we take great care in being gentle and supporting our patients through all procedures. However, for those patients who need a little more help to relax, we are pleased to offer sedation dentistry. Moderate Sedation – This can also be achieved orally. Typically it requires two doses of the sedation medication. One is taken an hour before treatment and another is taken right before treatment while at the dentist office. Patients are typically not anxious at all going into the dental appointment and then often fall asleep while receiving treatment. Deep Sedation (“twilight sleep”) – This is where the patient is given the medication intravenously. The oral surgeon can regulate the dosage throughout the procedure(s) so the patient remains comfortable and asleep until treatments are complete. Most patients report wishing that they had done IV Sedation earlier as they are very happy with their experience and results. 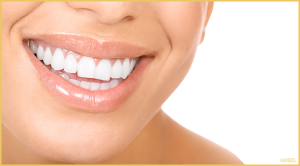 Sedation dentistry is great for patients who fear the dentist or dental treatments. We also feel is it a great tool for those patients who need to get many dental procedures done in a single visit. Many patients utilize this option so that they may come in and sleep through multiple treatments that may otherwise cause stress or slight discomfort. This allows for less dental appointments for the same results. Sedation dentistry is a safe and effective tool to help patients get the complete dental care that they need. Dr. Hawary received his certification to administer sedation dentistry from the Dental Board of California by demonstrating his ability to safely administer it. To ensure a safe experience at Art of Dentistry Institute we have on site advanced monitoring equipment and our staff is trained on how to handle complications, however complications are very, very rare. Our team at Art of Dentistry Institute not only recommends it to our patients, but we also recommend it to our own family members who would like to get multiple treatments in one sitting, or who are anxious about their appointments. When utilizing sedation dentistry please remember that a driver is necessary to bring you home after your appointment. To learn more about sleep dentistry including the cost of sedation dentistry, please give us a call to schedule a free consultation. We look forward to treating you at your next dental appointment.